We are so excited to be headed momentarily to the Green Festival in Washington, DC, where we will be hosting a Peace Day Celebration tomorrow! We will also have a booth with a small shop set up all weekend featuring our products already available online, as well as many new offerings. Come visit! “Green Festival attendees are invited to celebrate International Peace Day this Saturday at 12 noon in the Green Kids Zone. Participants will join in a worldwide Peace Wave at the start of this fun program by Tender Sapling that includes a little yoga, a little storytelling, a little origami, and a lot of fun. “Kids and the young at heart will engage their minds, hearts, and bodies to practice peace and create a symbol of peace to take with them. 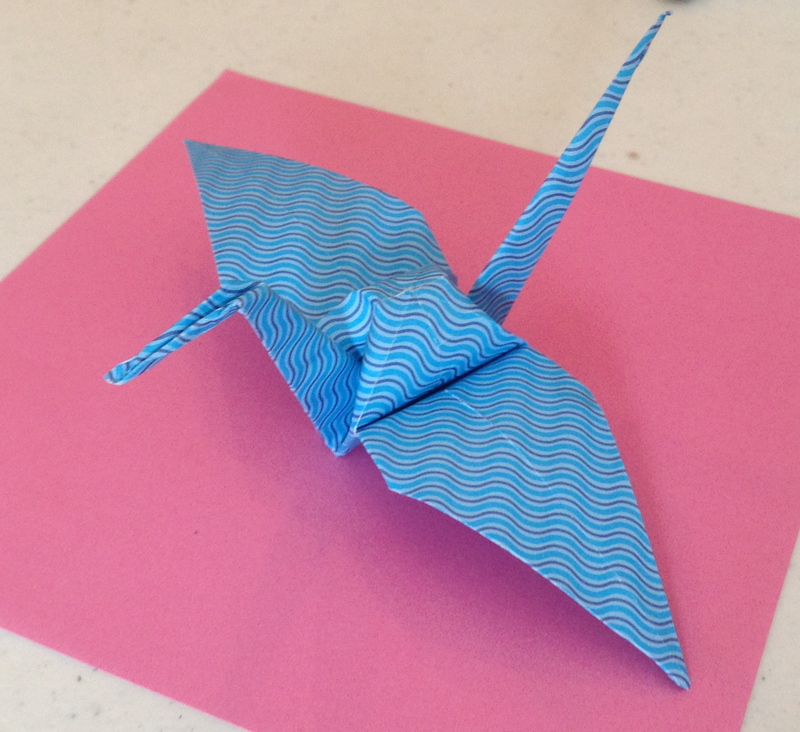 Kids will like that the origami craft will be led by a 10-year-old boy who will walk peacemakers through the steps to transform a square sheet of paper into an elegant crane – a Peace Crane. A simpler craft will be available for smaller hands. Messages will then be written on the peace symbols, to send wishes for peace out into the world. Plus, attendees will be offered complimentary “Love all the World” temporary tattoos and stickers, which feature Tender Sapling’s original take on the continents as interconnected hearts. “Enthusiastic origamists of all ages are invited to fold and donate additional Peace Cranes throughout the weekend-long Green Festival as a contribution to the Children’s Peace Monument in Peace Memorial Park in Hiroshima, where some 10 million cranes are offered each year by people the world over. Tender Sapling will collect these cranes at their booth (#743) next to the Green Kids Zone. Categories: Have Fun, Sustainability, Virtues, World Citizenship | Tags: Green Festival, International Day of Peace, Peace Crane, Peace Day | Permalink. 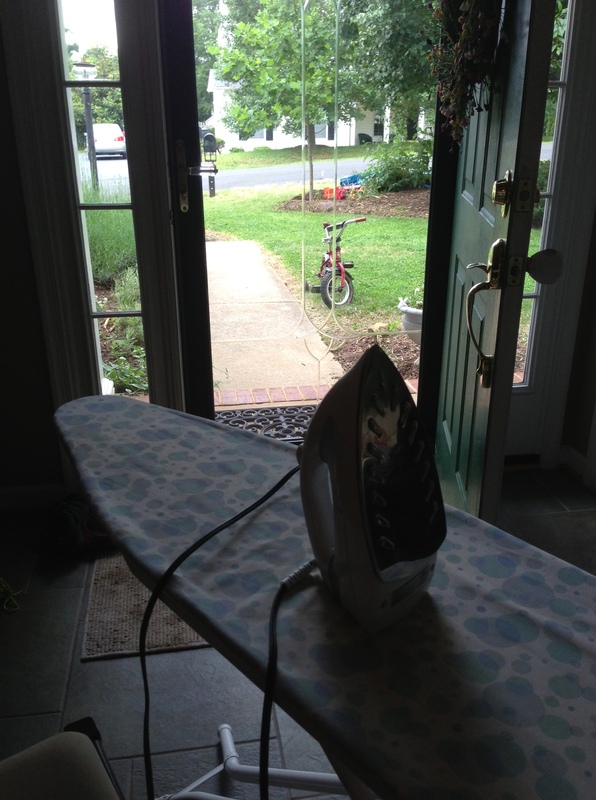 There’s a wonderful and little-discussed parenting skill I’ve learned to admire that I call Bending. Tendersaplingmama is like a jedi master at bending. I’m still learning. To use a well-worn analogy (which incidentally is how we all think about pretty much everything. Here’s a fascinating article on the brain as an analogy machine. ), a mighty tree must bend with the wind; if it is too rigid, the wind may uproot or break it. I’ve come to recognize that kids, or more precisely, kids’ behavior and all the things they do that cause frequency in a parent’s mind and life, are like the wind and we parents, or at least our rules, are the trees. Some level of rigidity is important. Children must learn self-discipline gradually over time, and there must be certain baseline expectations for safety and sanity, not to mention respect, courtesy, etc. Categories: Have Fun, Virtues | Tags: Art of Bending, brain as analogy machine, Maren Schmidt, mindfulness, parenting tips, virtues | Permalink. We’re delighted (and frankly quite surprised) to accept our first blog award – the Sunshine Award – from the inspiring Leanna at All Done Monkey! Thanks so much, Leanna! 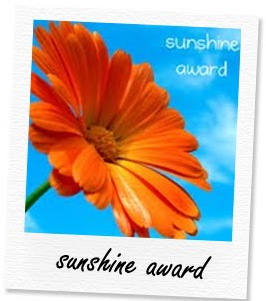 The Sunshine Award is given to those who write positive and inspiring articles and bring some sunshine into the life of others. It’s an honor to be included in this group! Like any blogging award this one has its own rules and requirements. Categories: Have Fun | Tags: All Done Monkey, blogging, blogging award, chain letter, Growing Up Global, keeping it real, Kid World Citizen, Mindful parenting, Moments a Day, One Part Sunshine, penne bake, recipes, Sunshine Award | Permalink. Homemade Yogurt Grows Good Cultures + Character too! Want a fun food project to enjoy with the kids that’s healthy, green, globally-loved, and cultivates some wonderful qualities of the heart too? Look no further: Yogurt! Categories: Have Fun, Sustainability, Virtues, World Citizenship | Tags: environmentally friendly, global recipes, green living, health food, homemade yogurt, patience, yogurt, yogurt recipe | Permalink. Forget Harry Potter for a moment. There is real magic in the world. And it’s sprinkled everywhere. It’s in you, mama! This day (Mother’s Day in the United States) always reinforces for me just how magical mama really is. Just watch a babe in utero kick and mama caress her belly. Or remember the first moment you held your baby, radiating love-beyond-compare to this new being. Pure magic! But Mama can get worn down and tired and sometimes needs to know how much she is loved, how special she is, even if dinner is just peanut butter and jelly sandwiches and the kids haven’t bathed in days. Mama tends to be her own worst critic, and while I’m all for self-improvement, an important part of doing our best is forgiving and loving ourselves. When we do that, we model some mighty awesome virtues for our own tender saplings too! Categories: Have Fun, Virtues | Tags: breastfeeding role model, gratitude, honor mother, Mama, Mom, Mother, Mother's Day, Motherhood, Poem | Permalink. What will you do this Mother’s Day for the sweet mama in your life? 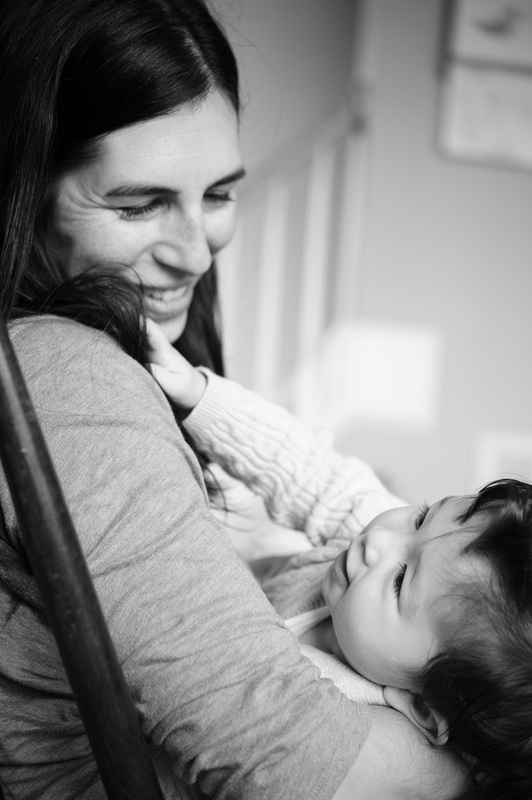 As a parent working on mindfulness and striving to raise mindful tender saplings, I find this American holiday a great way to teach our little ones about honoring their mother. And I love the idea of trying to make our gestures more mindful and meaningful. Categories: Have Fun, Virtues | Tags: DIY, gift ideas for mom, gratitude, love, Mindful parenting, mindfulness, Mother's Day, pamper mom, parfait | Permalink. This post is part of the Tender Sapling Travelers Series and Part 2 of a 3-part installment on Mongolia. See Part 1 here. After a wonderful introduction to Mongolia, covered in our Part 1 post, our oldest son was ready to focus on an area of interest to present on at our monthly Culture Club homeschool cooperative. In past years’ learning about Mongolia, his interests veered toward the incredible dinosaur discoveries of Roy Andrew Chapman and team (see book recommendation in the Part 1 post). 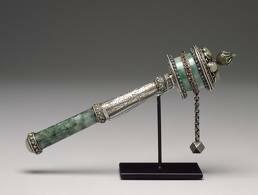 But this year, he chose to focus on the Mongolian Prayer Wheel. Categories: Have Fun, Sustainability, Virtues, World Citizenship | Tags: Buddhist prayer, learning about world religions, Mongolia, Mongolian culture, Prayer Wheel, prayer wheel craft, Tender Sapling Travelers | Permalink.